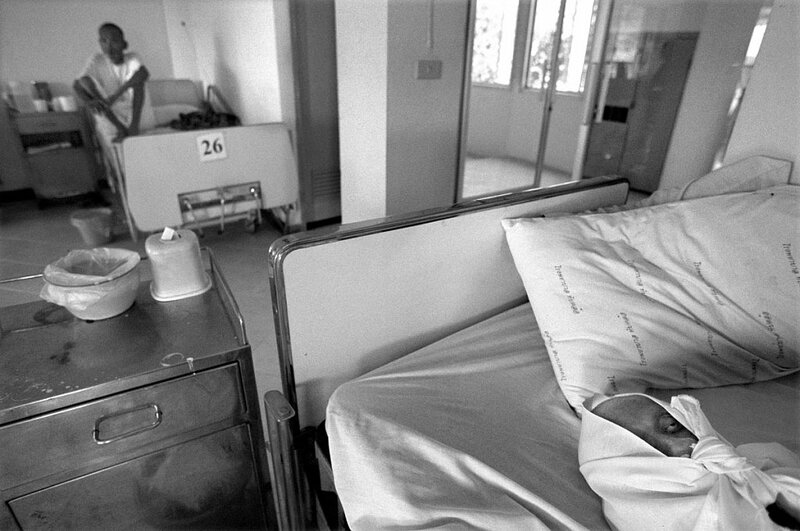 AIDS in Thailand is still a big taboo. 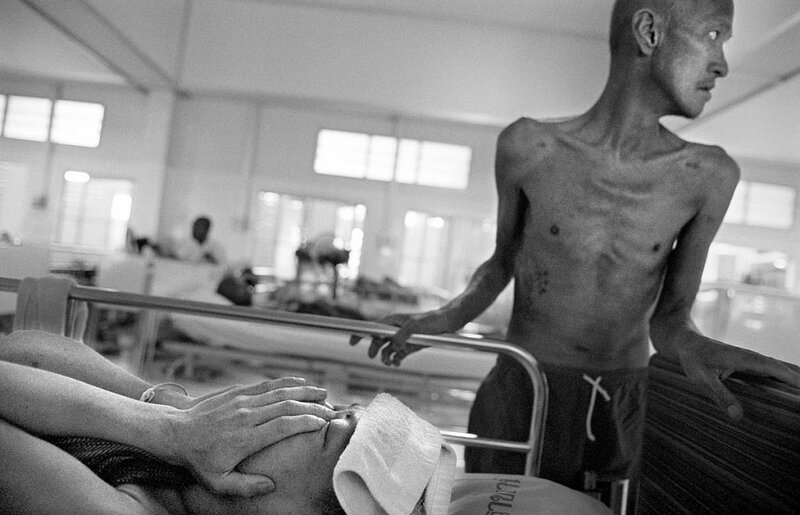 AIDS victims are often rejected by their family and friends. 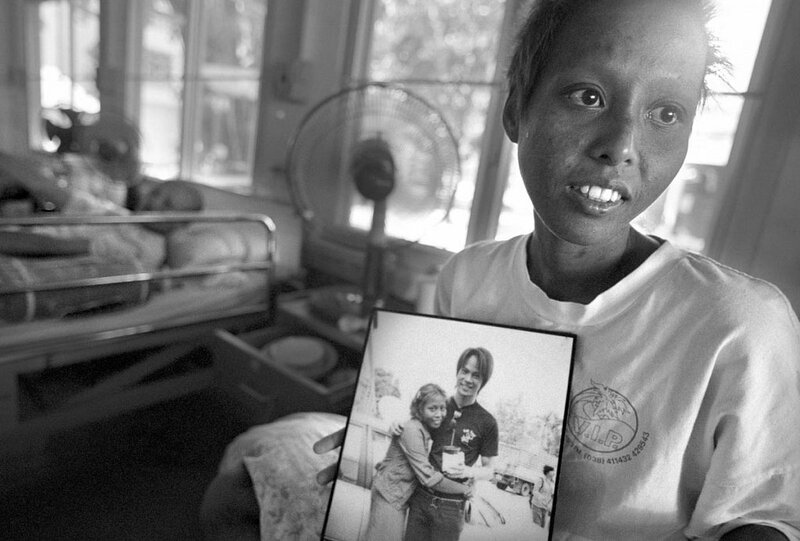 The AIDS hospice in the Wat Phrabath Namphu temple in Lopburi takes care of them. 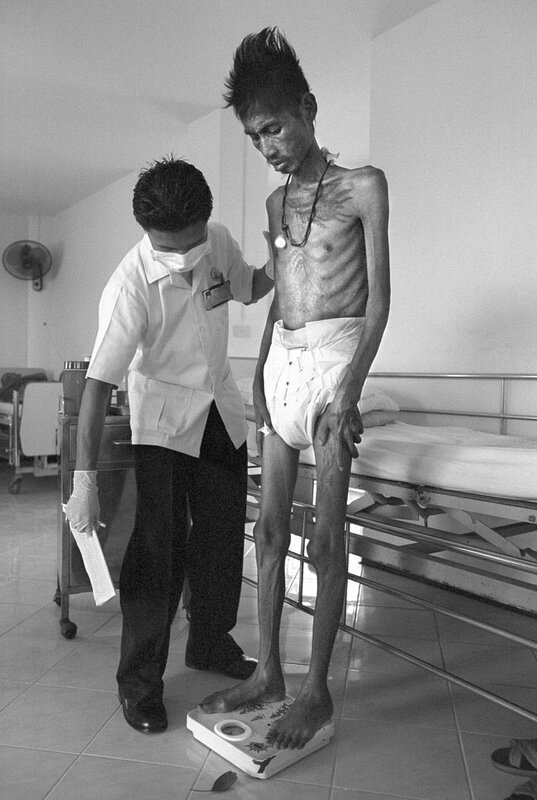 Wyros (41) just arrived at the AIDS hospice and is weighed by a thai nurse: 33 kg. Dutch volunteer Leni van Rijt is helping Jirapun under the shower. 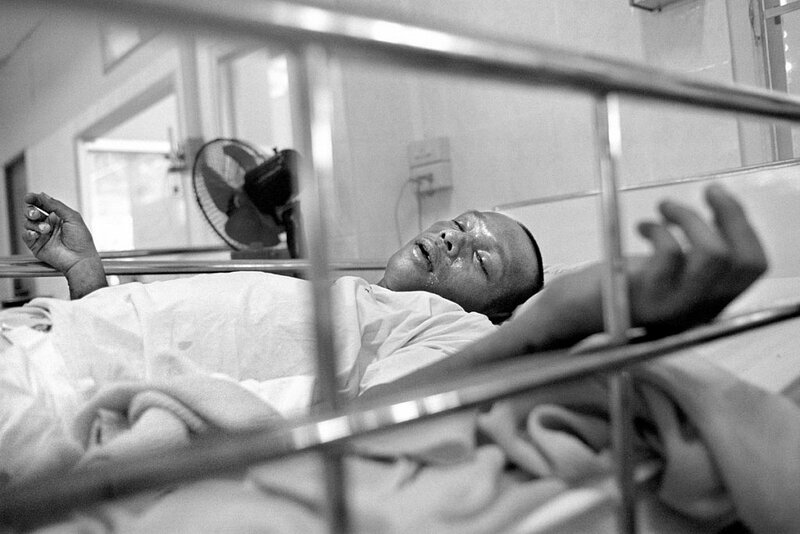 Sayan (31) suffers from heavy pains caused by a tumour in his brain. 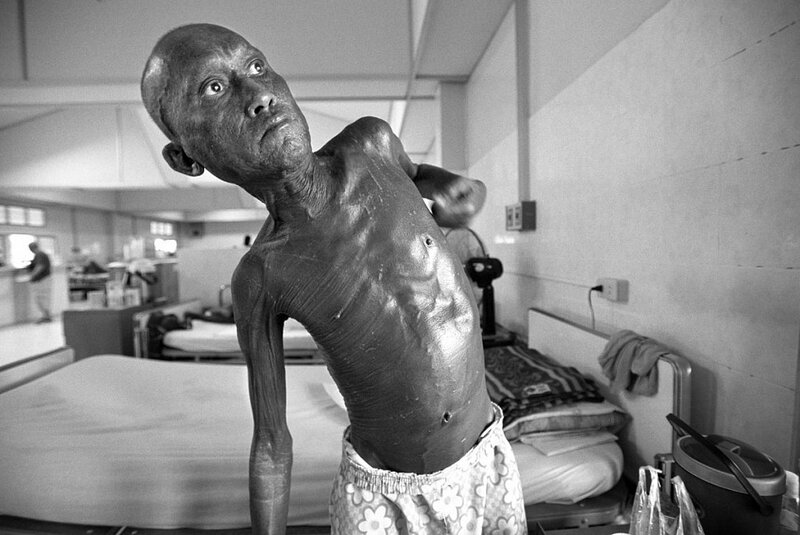 Gradually he became blind and deaf. Sayan died two weeks after this picture was taken. 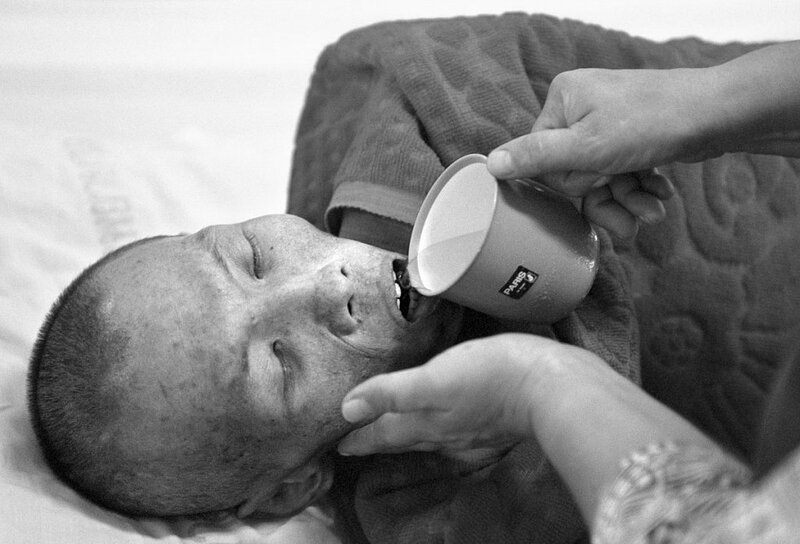 Prasit (36) can't feed himself anymore. His body is too weak. 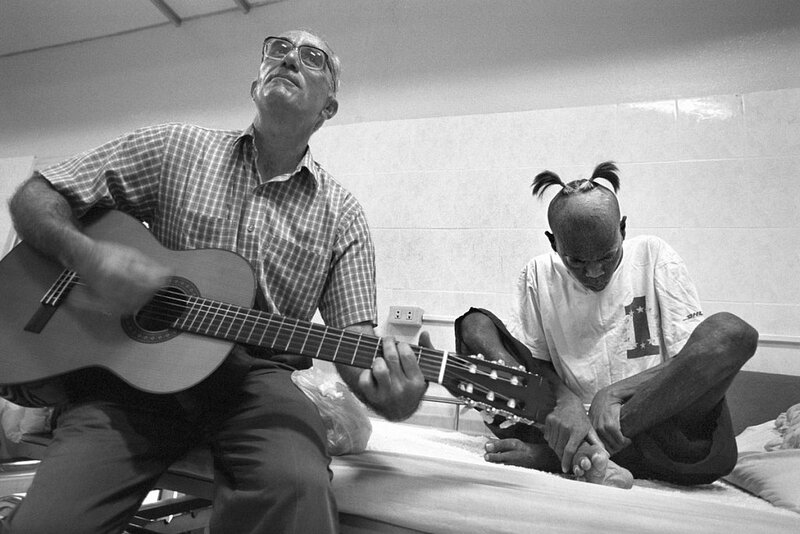 The american priest Mike Bessano sings the song 'Take me home, west Virgina' for patient Suchat. Suchat can't enjoy it much because of a strong coughing-fit. 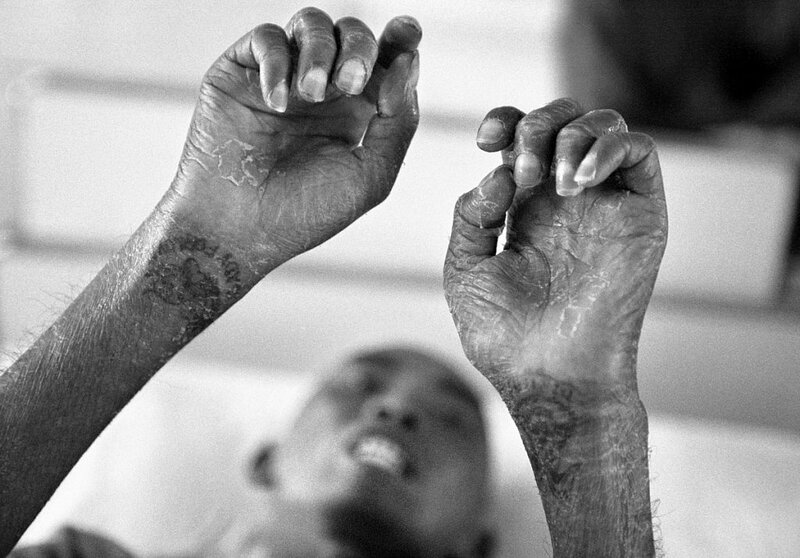 Ex-prisoner Jirapun (30) suffers from a skin disease. He is doing painful exercises to supple his hands. Guided tours are organised by the temple to educate the Thai about the dangers of AIDS. 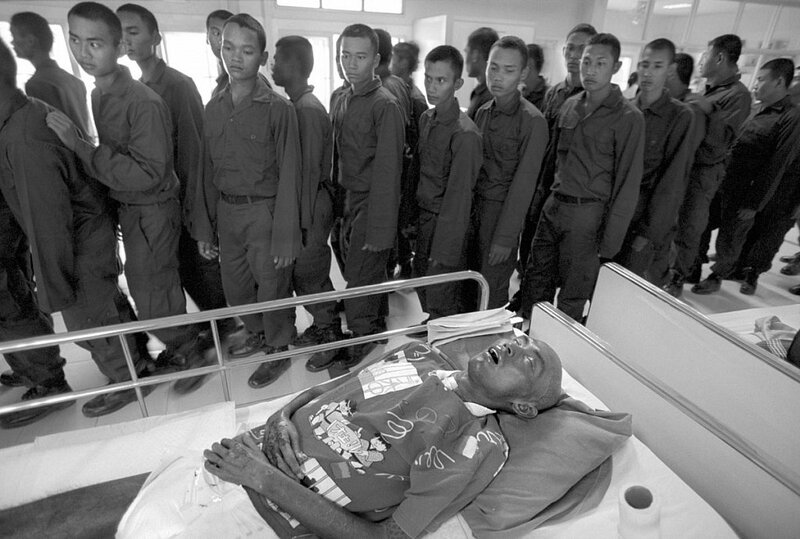 Groups of school- children, soldiers, prostitutes and employees visit the AIDS patients to see what AIDS is doing with the human body. Sutinun just died. He became 47 years old. 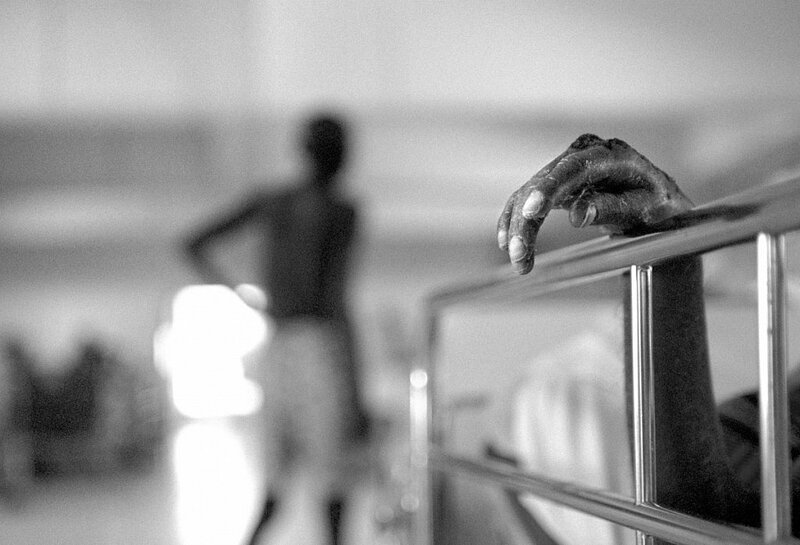 Four days later Sutinun was cremated in the temple. His relatives didn't show up.